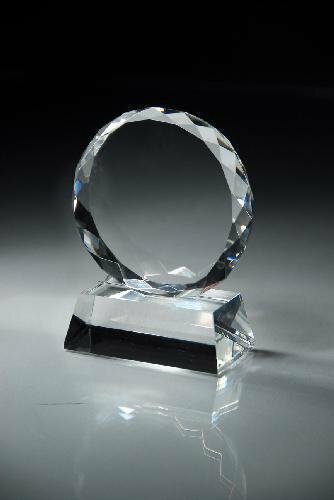 A Jade Circle Glass Award mounted on Gold Finish Base ready for sand carving your personal inscription with the highest quality etching available. Individually Boxed. 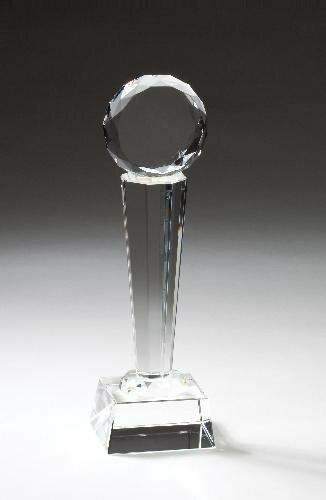 Statuesque Crystal Award with Beveled Clear Crystal Circle and Clear Crystal Base with Deluxe Velour Lined Presentation Box. 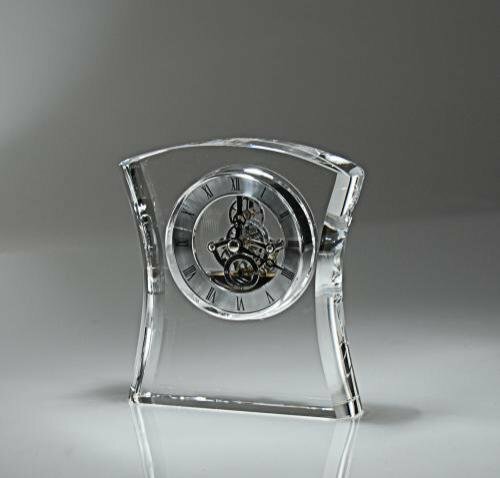 Included in the price is etching on the top circle and on the base. 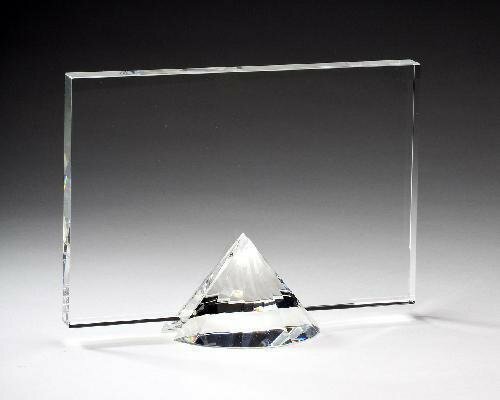 A Faceted Crystal Circle on Crystal Base. Ready to etch using sand carving, the highest quality technique available. Comes with a Deluxe Velour Lined Presentation Box. 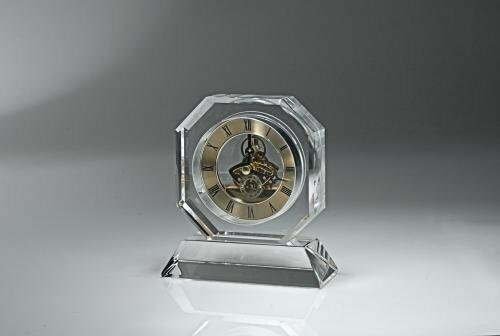 Precision Quartz Elegant Crystal Clock with Elegant Skeleton Movement. 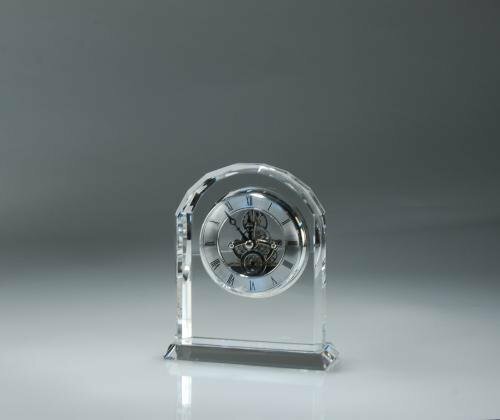 Ready to etch using sand carving, the highest quality technique available and includes a Deluxe Velour Lined Presentation Box. 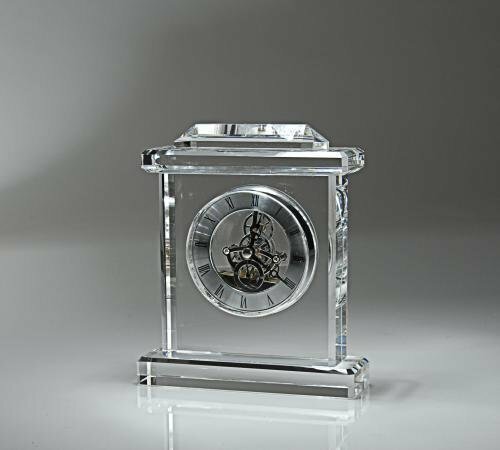 Precision Quartz Elegant Crystal Clock with Elegant Skeleton Movement. Ready to etch using sand carving, the highest quality technique available, comes Individually Boxed. 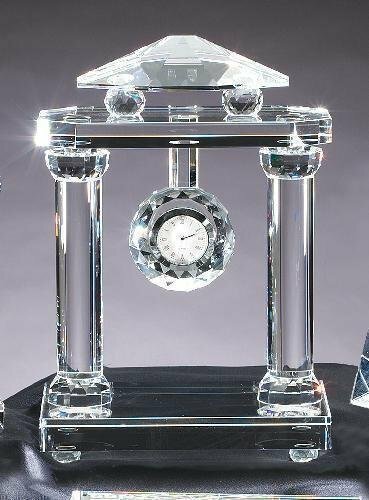 An Elegant Crystal Arch Desk Clock with Silver Finish Clock Fact. Ready to etch using sand carving, the highest quality technique available. Comes with a Deluxe Velour Lined Presentation Box. 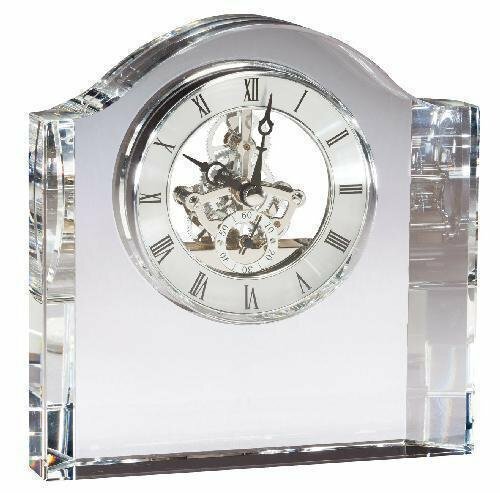 Precision Quartz Elegant Crystal Clock with Elegant Skeleton Movement. 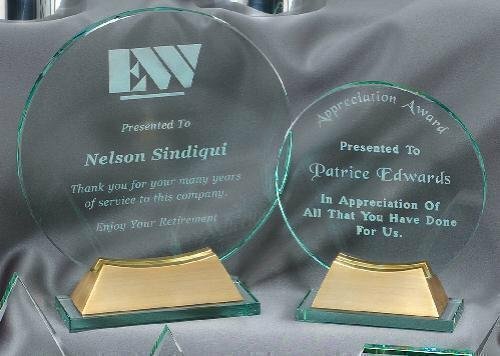 Ready for sand carving your personal inscription with the highest quality etching available, includes Deluxe Velour Lined Presentation Box.